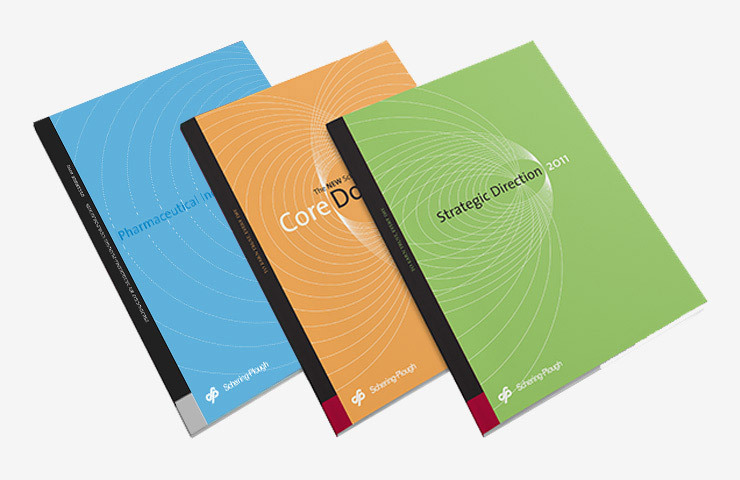 After hiring a new CEO and conducting a 100-day review, Schering-Plough engaged IridiumGroup to develop new messaging and strategic publications for internal audiences. 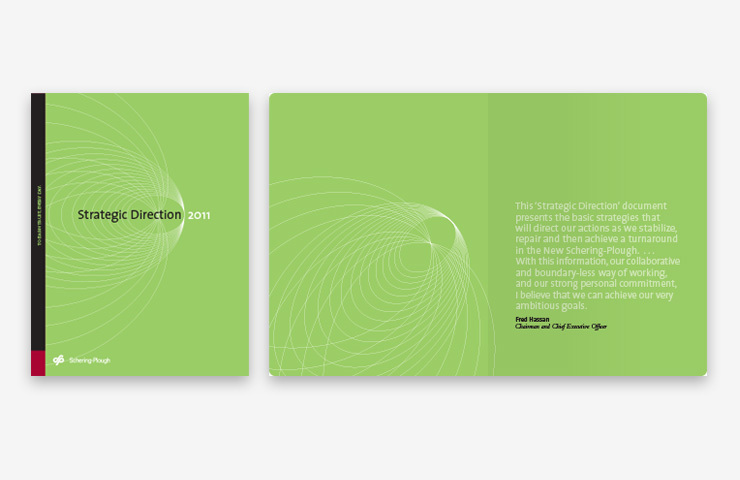 Across multiple channels — designed for Directors, senior executives, investors and employees of the company — we created a system of themed products that resonated with all audiences. 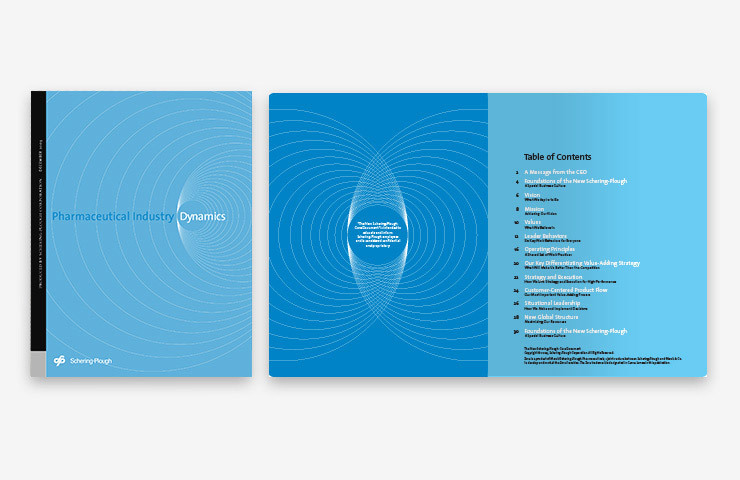 These included a Core Values Report, Strategic Direction Report, and an Industry Dynamics Report, as well as a communications campaign to rally support among all vested stakeholders. 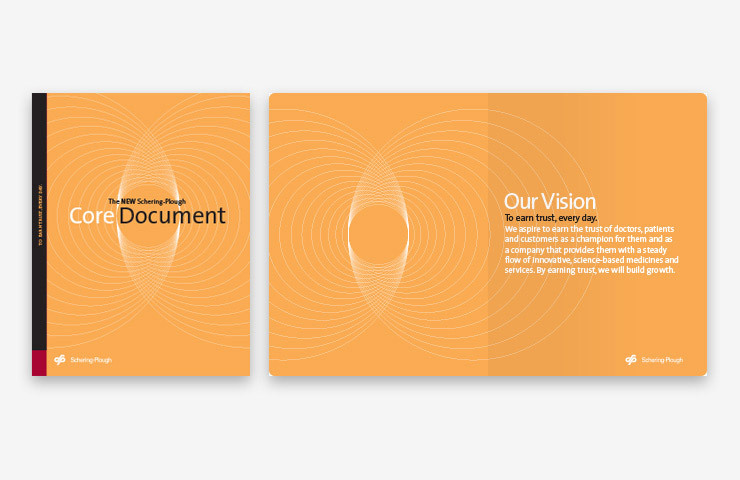 The campaign featured a keepsake “Behaviors” wallet card that served as a touchstone document of values and principles through which all constituents would comport themselves.